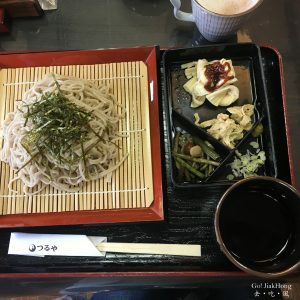 When you visit Nikko there is one dish that you shouldn’t miss, the [Yuba soba] this could be found everywhere around the street of Nikko. Yuba(湯波) is known as tofu skin. There are 2 major cities in Japan, Nikko, and Kyoto, which are famous for their yuba. It was originally from Kyoto and then to Nikko, this dish was served to the monks in the past and now is their local traditional delicacy. Soba(そば), the buckwheat noodles is another delicacy that you shouldn’t miss it. The well-known soba town, held a soba festival yearly during the autumn, in Imaichi. Where all the soba restaurants in the country will participate in. And the reason for their famous buckwheat noodles is because of the handmade noodles, using high-quality buckwheat and clean water supplied from the feet of the mountains.